Newest range from Moki. 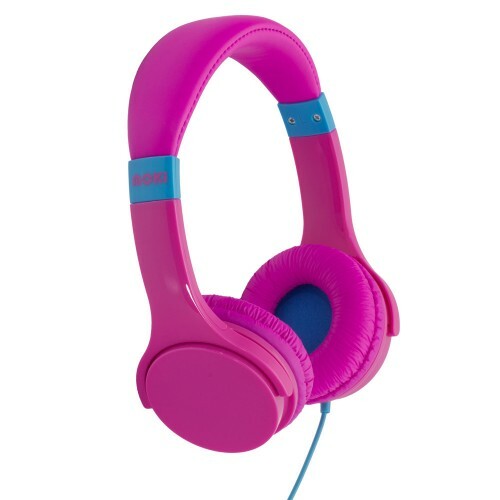 Lil' Kids Headphones are both colourful and practical. These headphones have been designed with a single sided cloth cable reducing tangles and making them easier and safer to wear. Soft padded ear cups and adjustable, flexible headband make the Lil' Kids Headphones a suitable fit for all ages. May be used with all 3.5mm (1/8") audio devices. Available in purple, blue and pink. Speaker Driver: 30 mm / 1 1/5"